This has been a very busy and exhilarating year for Faith in Water. We have been focusing heavily on our Dignity for Girls project in Uganda, where we are working with three major faith groups – the Catholic Church, Church of Uganda and Uganda Muslim Supreme Council – to keep more girls in education. We are improving puberty education for girls – and boys – in 24 schools, as well as providing reusable sanitary pads for girls, upgrading school latrines and improving access to water. We are also working with faith leaders and faith-based women's and youth groups to address issues of stigma and shame. ​Read more about it in our 2018 Annual Review. Imagine having no sanitary pads when your period starts, just old rags or leaves. No one has taught you about menstruation. 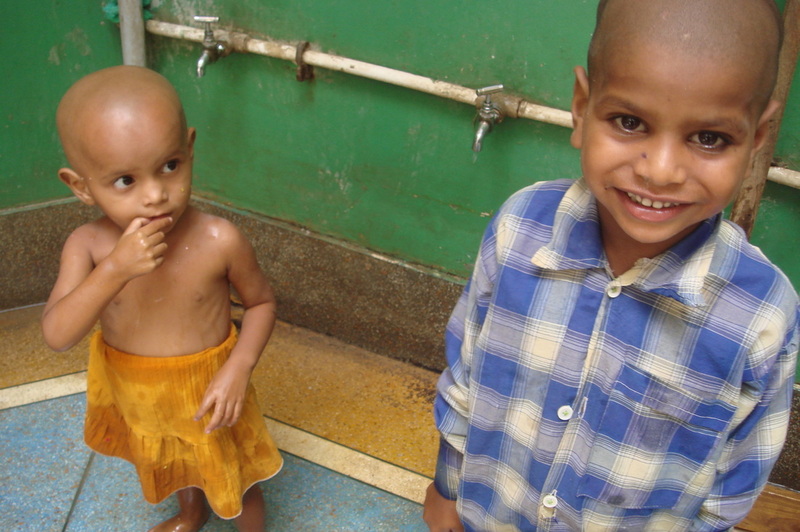 And the school latrines don't have doors or water for washing. That's the reality of life for many girls in poorer countries. No wonder so many girls drop out of school early – putting them at high risk of teenage pregnancy, child marriage and a much poorer future. Many girls in poor communities face great difficulties in managing their periods because of lack of information, lack of resources (such as sanitary pads or clean, private school toilets) and a crippling sense of stigma and shame. ​Studies show that a significant proportion of girls often miss school every month and some even drop out altogether. ​This has a serious impact on girls' future prospects as well as their health and wellbeing. Girls who drop out of school early are more likely to become teenage mothers or child brides and remain trapped in a cycle of poverty. Addressing stigma and shame by breaking the silence on menstruation and changing attitudes. Girls in sub-Saharan Africa miss an estimated 10%-20% of school time because of difficulties managing their periods. Fewer than two thirds of Ugandan girls complete primary school and even fewer secondary. Children of uneducated mothers are nearly three times more likely to die before age five than those born to mothers with secondary education. 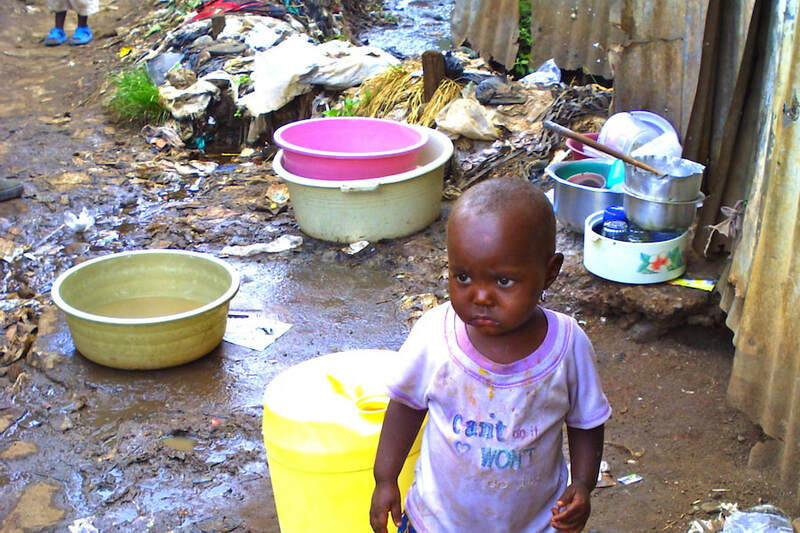 Diseases caused by contaminated water and poor sanitation kill children and blight lives. Around one in ten people lack clean, safe drinking water and one in three don't have adequate sanitation, causing people to become trapped in poverty and illness. Faith groups are the biggest organised element of civil society and often the most trusted and influential. They have massive outreach through youth groups, Sunday schools and madrassas, and they play a major role in education. partnerships between secular and faith groups. Faith in Water grew out of the Alliance of Religions and Conservation (ARC), which was founded in 1995 to help the world's major faiths develop environmental programmes based on their beliefs. Our faith partners told us that water and sanitation problems were the biggest environmental, social and health issues in their schools. ​Given that faiths play such a big role in education worldwide, and that water and cleanliness have spiritual significance in many religions, we realised that working specifically with faith schools could have a significant impact. Faith in Water has a long experience of engaging faith communities. We also understand how secular groups work and what they need. By building closer relationships between faith and secular organisations, we aim to help each group to work more effectively with each other – for the benefit of people, nature and the planet. Please help us transform lives by bringing clean water, safe sanitation and good hygiene to some of the world's poorest communities? Support us with a one-time donation or a regular payment. Click on the PayPal button on the right to be ​taken to a secure online donation page. Thank you! Christ has no body but yours, no hands, no feet on earth but yours. Image credits, from top, left to right: Zata school well, Ethiopia, by Gary Edenfield. Lively girls by Susie Weldon, Faith in Water. Kenyan child, by Mary Bellekom, ARC; Children at Vrindavan, by Victoria Finlay, ARC; Kenyan smile, by Brad Ruggles.